A Gentlemen's knowledge Base. Suits and Ties, Cuff Links and Shirts - and way more. All what a Gentlemen want and need to know. 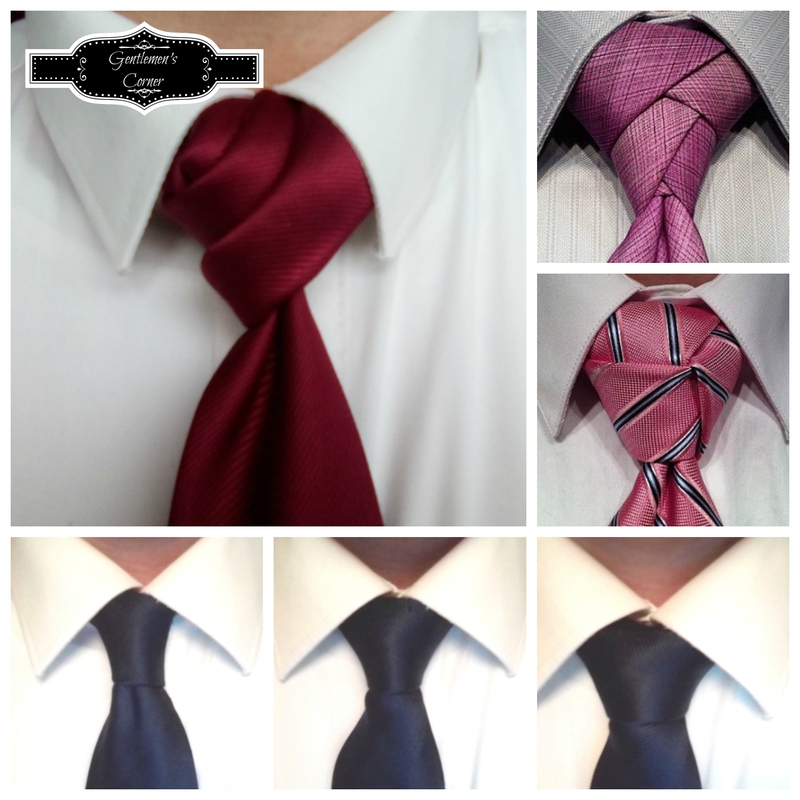 Tie Knots - When it comes to the possibilities to knot a tie, well there are many choices. But which is the right for this or that occasion? As with any other accessories you can here go from dressy to formal and even to extravagant. In the following i give you a little guide which will help you to make the right decision. 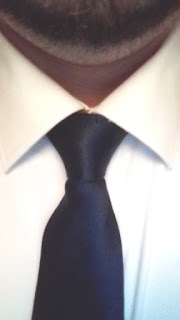 Beside he is one of the more easy ones and very fast to knot he is also good for a dressy occasion that is not highly formal, such as parties or social outings. 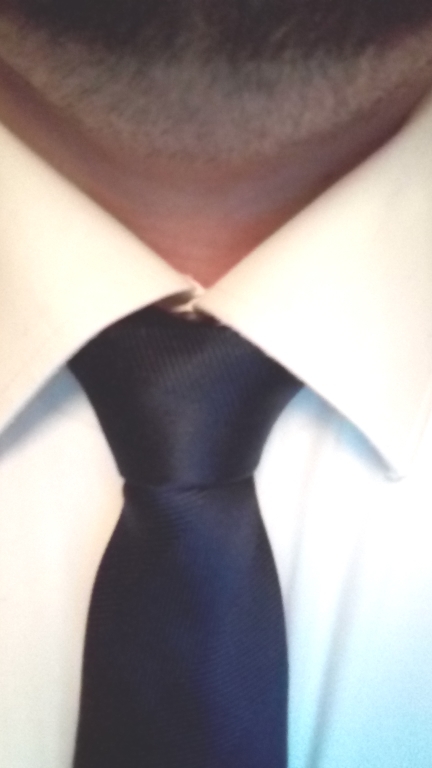 A little more afford needs this standard Knot. 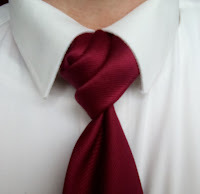 The knot iself is a "symmetrical" knot that looks like an inverted triangle with the tip cut off. The half Windsor goes well on shirts with medium-width spread collars and is better for more formal events, such as job interviews and business meetings. Full-Windsor knots are better with longer and wider Ties. 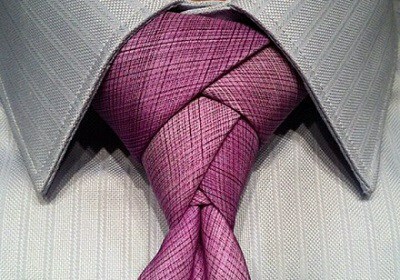 The shape of the full Windsor is also an inverted triangle as the half-Windsor, but it is just larger. 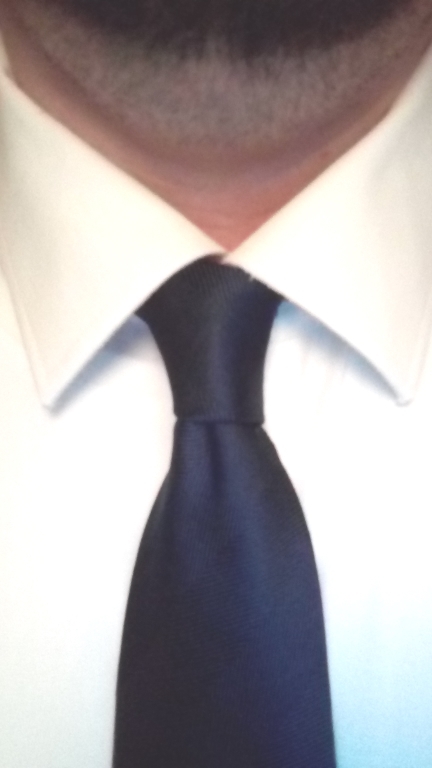 Since the full Windsor is larger, it appears highly formal and is usually worn with wide spread collar dress shirts. Full Windsor knots are best at highly formal events, such as weddings or important business meetings. With those 3 Knots the Four in Hand, the half and the full Windsor you are already quite well prepared for the most occasions. But as always, sometimes we want to "spice up" things a little. And here you can choose from a really wide range of available Knots. Below you find 3 of some more extravagant Style. First we have the "Eldredge Knot" it has, as the second one the "Trinity Knot", the same shape as the Windsor Knots and could be also used in more formal occasions and business meetings. 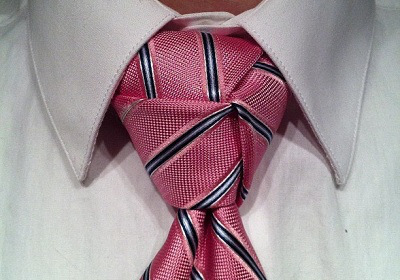 The last one the "Rose Bud Knot" is more for formal occasions like Weddings or Parties and could give your Suit the little extra. SHIRTS - WANT TO KNOW MORE?